Over the last few weeks I've felt my creativity coming back. Slowly but surely and I have to say its been great. 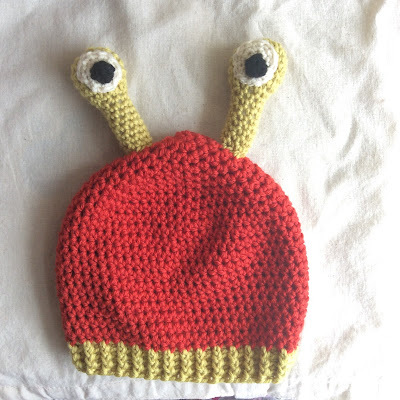 My Nanny has next door neighbours with two young children, a 4 and a 2 year old, with Autumn birthdays and I usually try and crochet something for them. The brief this year, winter hats! This was the perfect excuse to get back into designing. First off I wasn't sure if I even had any suitable yarn, but was thrilled to discover two balls of soft, squishy Debbie Bliss Cashmerino Aran (55% wool, 33% acrylic, 12% cashmere) in an orange/red and a green in my stash. Kinda boy colours yeah? As per usual all good ideas come to me in the shower, so by 9am last Saturday I knew it was going to be a monster/alien hat, and by 10 I had hooked up the hat. 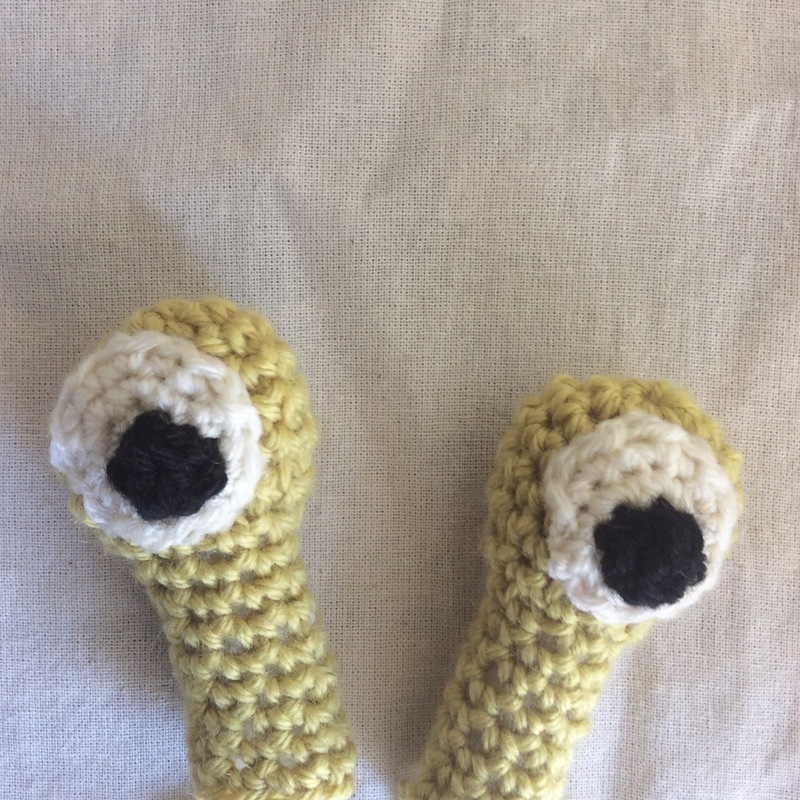 I was originally going to crochet flat applique circles and sew them on afterwards but settled on some stalk eyes.....hello! 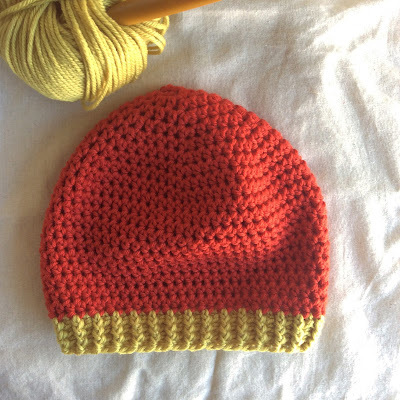 It was so much fun to be free to play around with yarn, and let the ideas develop as I worked, and I'm really pleased with the finished hat. What do you think?